John Pearce has a private legal and notarial practice in the Melbourne Central Business District and in the Eastern Suburbs. He practises in the areas of Property law, Wills and Estate, Legal Ethics and Notarial Practice. He has degrees in science, theology and law, and diplomas in education, statistics, legal practice and notarial practice. John was admitted to the Supreme Court of New South Wales in 2001 and appointed by the Supreme Court of Victoria to the office of Notary in 2008. He is the current President of The Society of Notaries of Victoria (2016 – 2018) and a Fellow of the Society. He is also Governor for Victoria of The Australian and New Zealand College of Notaries, as well as being a Fellow of the College. Immediately prior to working full time in his private legal practice, John worked as a Senior Legal Ethics Solicitor at the Law Institute of Victoria, including a period managing the Ethics & Professional Practice department which provides, amongst other things, written and telephone advice to Victorian Solicitors with regard to ethics and practice management. John’s duties at the Law Institute also included preparing draft Ethics Rulings for consideration by the Law Institute’s Ethics Committee, and delivering Ethics presentations to legal practitioners. 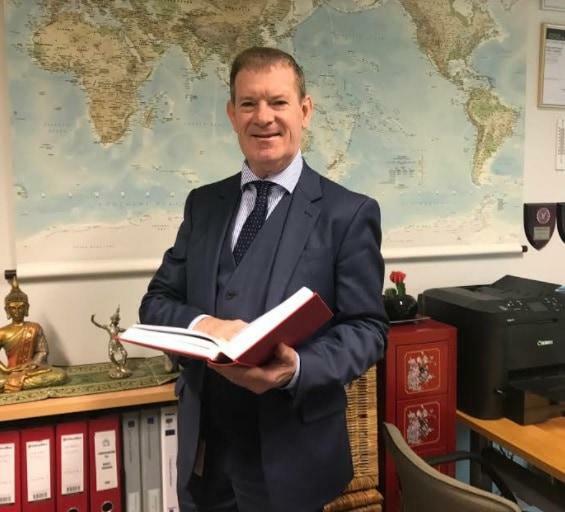 Prior to his role at the Law Institute, John worked as an in-house Solicitor for a large government department where he practised primarily in property law. His departmental duties included for a time management of a team of lawyers advising on complex transactions. John is now a Consultant to a new boutique legal firm, “ethics4lawyers” which provides legal ethics advice, information and education services primarily to legal practitioners. How to Book an Appointment Online If you need to book an appointment with a Notary Public and would like to access John's booking system, you can do so via the Bookings Page which can be found via this link. You may also like to call his offices on 03 8648 6541 or mobile 0419 383 397. A mobile notarial service is also available for both corporate and commercial clients in the Melbourne CBD. Clients can be seen during Extended Business Hours and on Sundays at the Melbourne CBD office. For all enquiries please call 03 8648 6541 or call/text 0419 383 397 for a convenient appointment on short notice for the Melbourne CBD or the Eastern Suburbs. 10 Frank Street, Box Hill South (off Riversdale Road between Elgar Road and Station Street).